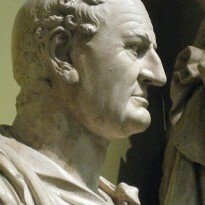 Language is whatever a group of people use to communicate with each other. It doesn’t include Klingon - Do’Ha’ - but it would if there were a group of people who used it as their primary language and it was allowed to evolve naturally. Actually, considering the complexity of the Klingon in Marc Okrand’s The Klingon Dictionary, which is the common tongue of the empire, less well known or widespread dialects must be nightmares for non-natives to learn. 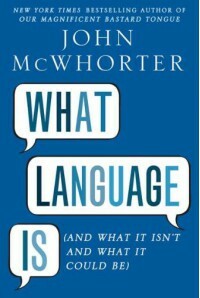 McWhorter divides the book up into five chapters based on the acronym IDIOM, which stands for “ingrown,” “disheveled,” “intricate,” “oral” and “mixed.” He makes the point that English (and any widespread, widely spoken language) is not “normal.” “Normal” languages tend to accumulate a baroque collection of irregularities and ornamentation that make them difficult for non-natives to learn fluently. In Chapter one, he uses several examples of this, including Pashto, which conjugates verbs differently in the past tense depending upon whether they are transitive or intransitive. In Kikuyu, a speaker makes a much finer distinction between “here”-ness and “there”-ness than English. And, as I know from personal experience, a Mandarin speaker has to use a classifier when indicating quantity. In Chapter two, McWhorter uses Navajo as an example of dishevelment: In Navajo, nearly every verb is irregular. As he notes, it’s as if every verb in English declined like be. And thus it goes through every chapter as he draws on many examples to showcase the complexities of language.